""A woman who is not a fool can have but one reason for associating with a man that is,"" says Mirabell, the amorous hero of The Way of the World. His cleverness must overcome his own foolishness as he tries to extricate himself from one affair in order to pursue another. His new passion is inspired by Mrs. Millimant, who confides, "I love to give pain." 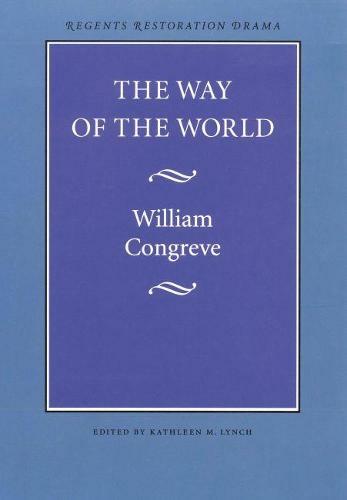 First performed in 1700, The Way of the World has since earned a reputation as a play for connoisseurs, a satire whose every word pricks or scratches. Its portrayal of the petty intrigues and duplicity of genteel society spares neither coquette nor rascal.